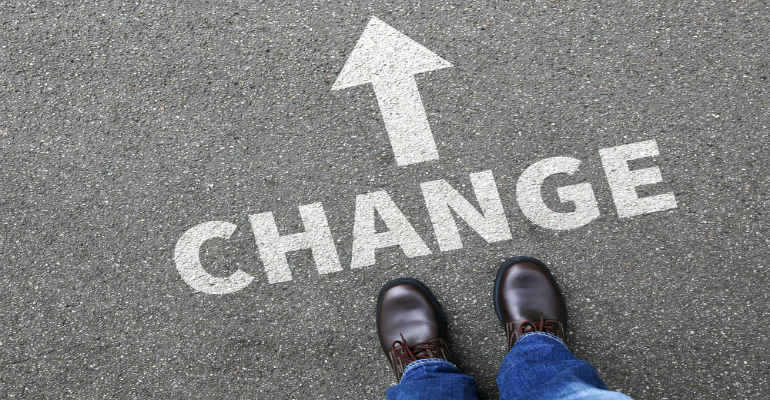 It's all about managing change to drive business improvements. IBM says the need to lead change in organizations is growing, but our ability to do it is shrinking. Filling the gap requires customized software, on-site support and an unrequited amount of transparency from trained leadership, says Mike Bentley, managing director of Deloitte Consulting LLP’s Change Strategy and Analytics practice. The first question organizations should ask themselves when planning for a change initiative is, “What is the desired outcome of the change?” Many organizations miss the mark because they fail to paint the big picture from the get-go, not fully understanding what they are really aiming for. It’s key that organizations be realistic about the type of transformation they are undertaking and match their change-management efforts accordingly. According to Bentley, Deloitte has found that the right approach to change is based on a combination of driving people’s willingness to change and the ability to deliver what is required during and after the change. Depending on an organization’s desired outcome, the balance of efforts required to drive willingness and ability will differ. So, how does one define desired outcomes of change? Let’s dive in and break these down, shall we? Tech Slam. A Tech Slam is where organizations replace or upgrade their existing IT systems or enterprise technologies and don’t expect or anticipate any process or behavioral changes. Success of a Tech Slam is almost entirely reliant on a workforce’s ability to learn, through training and support resources, and how they use the new technology. Process Acceleration. Process Acceleration means organizations that are adjusting their defined processes with the goal of increasing efficiencies. Process enhancements are important, as they can also drive modifications to existing job roles and structures. Similar to a Tech Slam, the success of this change effort hinges predominantly on a workforce’s ability to understand the new processes to allow them to execute their activities, rather than on their willingness to do so. Modernization. Organizations go through Modernization when, in addition to upgrading their technology or accelerating their processes, they want to fundamentally change aspects of how their organization operates. For example, implementing manager self-service. The upgrading of technology or accelerating processes requires the workforce to have the ability to execute; however, with Modernization, willingness of employees to change becomes increasingly important. Modernization requires the change effort to focus on driving a workforce’s understanding of why the change is taking place and driving leadership alignment across the organization. Transformation. A true Transformation is the polar opposite to a Tech Slam, and is the most disruptive type of organizational change. Transformations essentially change the way ‘things are done around here’ (with some finger wagging, presumably) through changing technology, processes, culture, behaviors and leadership values. An organization rarely undergoes a transformation unless there is a valid reason to do so, such as going through a merger or acquisition or entering new markets. Successful Transformation requires the workforce to have the ability to operate in the new world but more importantly the willingness to transform based on a fundamental understanding of why the change is occurring.